Just thinking about the idea, bringing your dog to the beach may seem like it makes total sense. Yes, of course you want your pup playing and running and having an amazing time! With just a minute of additional thought or less, the idea seems far less appealing. An argument can easily be compiled in a helpful list: sand in the car, fights with other dogs, traveling to and from the beach with your dog in tow, the dog running off, #2’s, and many more. The most troubling part of all this is the fact that finding a dog-friendly beach combined with a pet-friendly vacation rental is not always the easiest. Even if you are up to the task, others might not be. This all contributes to both an incredible need for a dog-friendly guide and resources to make it easier. Thankfully, we can help in both areas. You can find dog-welcoming beaches and dog-friendly beach rentals on Anna Maria Island to bring that prized pup along for the family vacation experience. Do you want your pet to go to the beach with you? If so, commit to the idea. 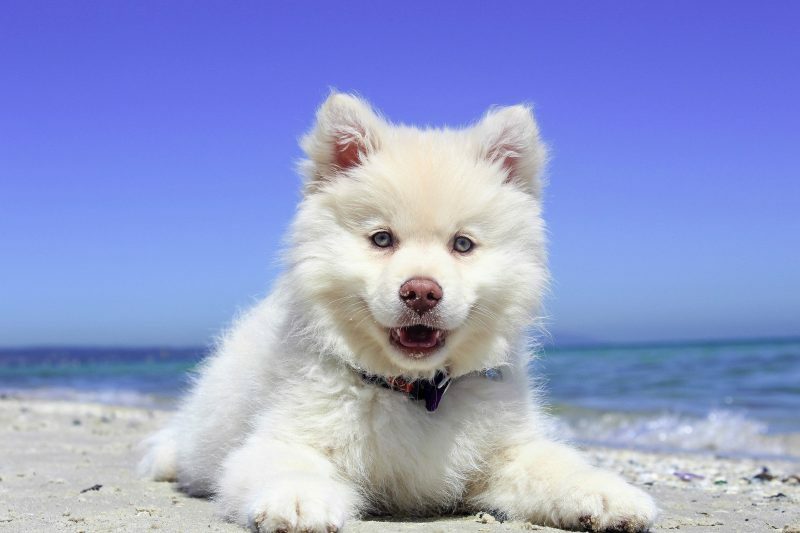 Find a rental that can accommodate the pup even if the beaches are not as accommodating. If you commit to this decision and don’t waver, it will actually make your vacation planning a lot easier. You will know what rentals you can’t do and what beaches you can go to without making it needlessly confusing. Sometimes, too many options can be crippling and overwhelming. By bringing your dog, you know where to target your research and planning accommodations. 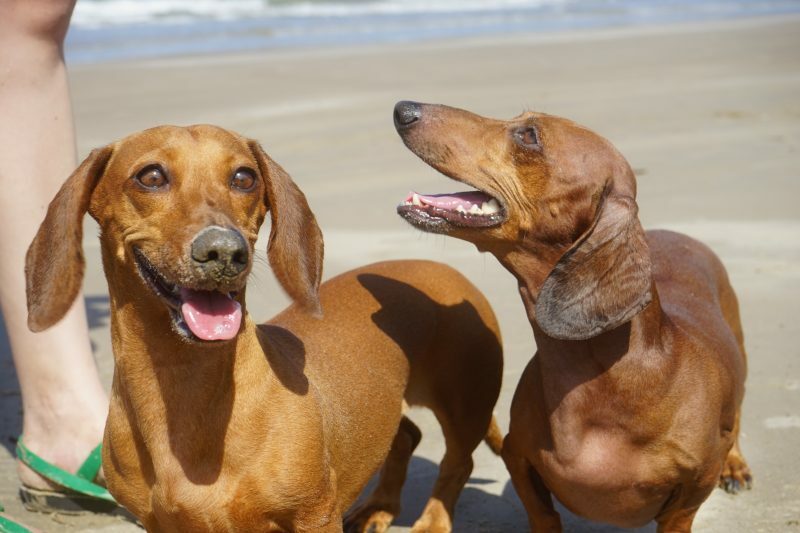 Virtually all of our beach vacation rentals allow for pets. With this, you are safe knowing that your pet is welcomed just as much as you. Many of our rentals do require a modest pet deposit fee. When you visit our website, you can review all our available properties. If a property is pet-friendly, it will have a blue paw print by it. Out of over 40 properties we have available at any given time, about half are dog-friendly. This makes it extremely simple and intuitive to find rental properties that are pet-friendly. Due to allergies, clean-up, and other issues, we do not allow pets in every one of our homes. But this allows us to offer this option for those that need it, and want to give their pup the vacation experience they deserve. The main beaches of Anna Maria Island are not open for dogs. This includes the majority of the western coastline of the island, along Anna Maria Island and Coquina and Manatee Beach. Fortunately, there are many smaller havens in the area that allow for dogs. The Palma Sola Causeway is a small beach park up against the Palma Sola Bay. This wonderful beach escape is also home to many local horses. Joan Durante Park, in Longboat Key, is the quintessential beachside escape for dogs south of Anna Maria Island. There are some lovely family amenities, including tables, restrooms, a botanical garden, and boardwalk path. Further, the De Soto National Memorial Beach right off AMI allows for pets on a leash. They can swim and frolic as a part of the family. Depending on the location of the rental, you can have your pup freely explore the nearby area. There are designated on-leash and off-leash areas by the many dog-friendly vacation rentals, though typically you want your dog on a leash. Clear signage is posted in almost all beach areas, regardless of size. A number of restaurants on the island are pet-friendly on their outdoor patios. If you have any additional questions, please contact us by phone or email. We can happily cover the specifics as far as where your dog is allowed and if there are any restrictions in your desired area. We can work with you to find your desired rental and the highlight the options available to you there.